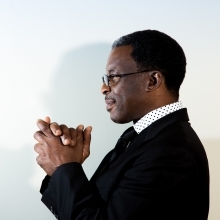 Veteran of Ahmad Jamal and Wynton Marsalis bands, the 59 year old drummer explores the many influences he absorbed in a music family in New Orleans with a band of musicians in their 20s: saxophonist Godwin Louis, pianist Emmet Cohen and bassist Russell Hall. 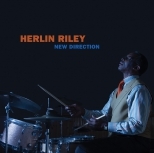 In the tradition of another great jazz drummer/bandleader, Art Blakey, Riley takes his Afro-Cuban, jazz, and blues experiences and shakes them into a sound that is both new yet familiar. An entic- ing collection of modern New Orleans music; funky jazz for folks who enjoy their musical gumbo on the hot side.